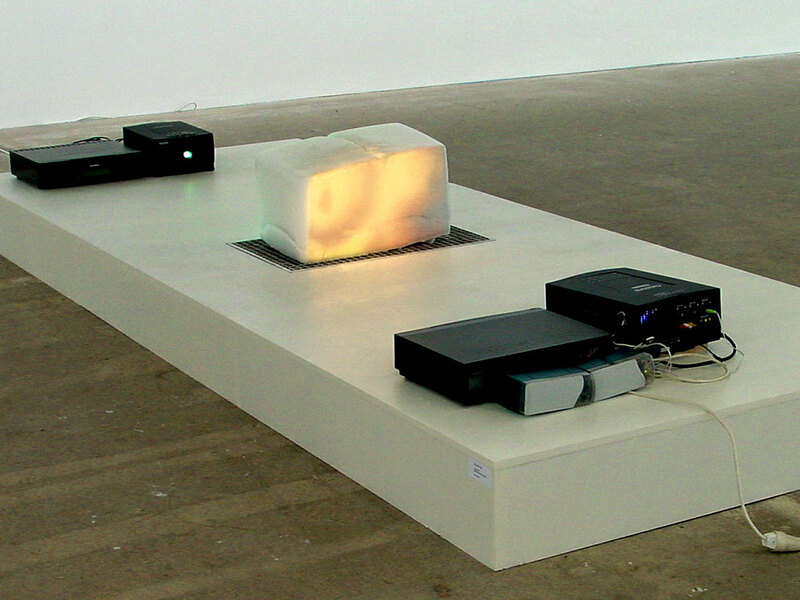 Film sequences are central to this work, often deriving, how­ever, their unique form from the involvement of the projection surfaces, which lend the works their own dynamic. For example, in the installation „connected“ the rhythm of the ocean is related to human breathing. 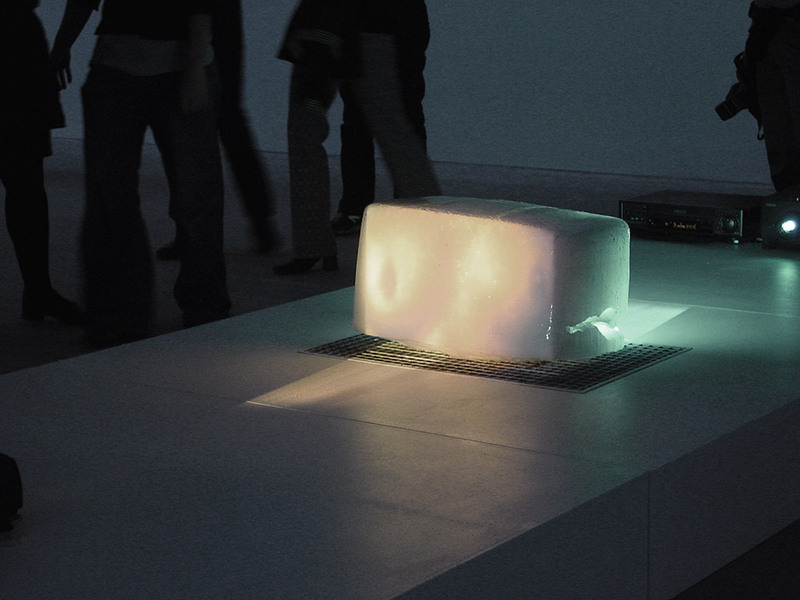 A large block of ice serves as the projection surface for images of water on one side and a female torso on the other. 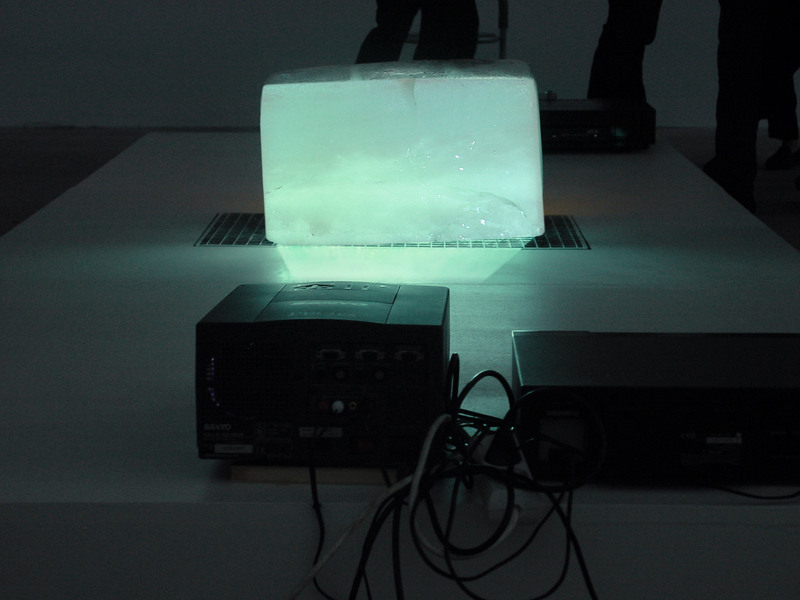 At the same time, the melting of the ice block triggers a third process: the films approach one-another while becoming less and less visible as the projection is shifted progressively into the mind of the observer. The surfaces on which the images in „connected“ appear are a medium of disappearance. Although the projections approach one another with the melting of the block of ice, in the moment they converge they will be gone. The technique of video comes to fruition when the idea of reality relinquishes its condition: the surface of projection. The thought that is enflamed upon contact with the image undergoes the direct limitation of its temporality and thus experiences itself as utopia.